COVER AND RECORD IN MINT CONDITION. THIS RECORD DONT NEED EXPLANATION. 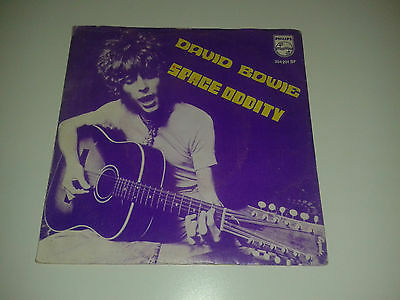 This is the MEGA RARE IMPOSSIBLE TO FIND world's top 5 rarity from DAVID BOWIE, the Portuguese (unique) picture sleeve single "Space Oddity" (on mono) which is an holy grail in the Bowie world....& INCLUIDE A IMPOSSIBLE TO FIND INNER SLEEVE!!!!! ATENTION: THE SHIPPING IS NOT 4 USD. IS 10 USD. Don’t forget to check my other ongoing auctions !! Bid with confidence!! Good luck !! Payment must be received within 3 days!!!!! RETURN POLICY: refund will only be possible if item is returned in the exact same conditions (NO REFUND FOR SHIPPING COSTS). Please under no circumstances start a complaint/dispute (neither on eBay nor PAYPAL), without contacting us. Transactions! Thank you!